WOLF BLITZER: A deadline for withdrawal -- the House narrowly passing an Iraq spending bill that requires U.S. combat troops to pull out of Iraq by the end of August 2008. But President Bush is vowing to veto that bill, accusing lawmakers who supported the bill of abdicating their responsibility to protect U.S. forces. Two Republicans crossed party lines to vote in favor of the measure. Fourteen Democrats voted against it. Could Congress be undercutting the president's new strategy in Iraq? Is the troop increase already reaping results? And joining us now in Baghdad, our correspondent, Michael Ware -- Michael, a very important vote in the House of Representatives here in Washington today. The president reacting very firmly, suggesting that some of the initial signs this new U.S. military strategy in Baghdad and the Al-Anbar Province seems to be working, at least right now. You're there on the scene. What's your assessment? MICHAEL WARE, CNN CORRESPONDENT: Well, like many operations we've seen in the past on such a scale, it is definitely having an impact on the nature of the war as it's being waged today. I mean this has been a war of great flux, as are all conflicts. So what we've seen is with this new strategy, the influx of American troops, them babysitting their Iraqi Army and police partners, essentially keeping the death squads in their barracks at night, has seen the levels of sectarian violence in the capital, at least, lower. However, we're still finding 30, 33, you know, executed bodies on the streets each morning. What we're also seeing, however, is displacement: the violence moving outside the capital. In Diyala Province, for example, just to the north, General David Petraeus had to send an extra battalion of Stryker troops because things were getting so bad. In Al Anbar, again, it's in a state of flux. We're now seeing a war within a war as American-backed Iraqi Baathists and tribal chiefs are attacking al Qaeda. So everything is in play right now -- Wolf. BLITZER: And the question is can they sustain any progress that might be taking place. What's your sense, also, on this assassination attempt that we saw today involving the Iraqi deputy prime minister? It looks like there was an element of an inside job there. WARE: Oh, without a shadow of a doubt. And in most of these bombings, there's inside jobs. I mean there's inside jobs within inside jobs in this country. But here, clearly, what happened is we had a suicide bomber wearing a chest vest penetrated right into the compound of the deputy prime minister, detonating himself, killing nine, wounding at least 15. A second car bomb reportedly explodes on the outside of the perimeter of the compound. Now, this fits into a much broader dynamic, Wolf. Now, the investigation is underway, but this is a Sunni prime minister. He has been a part of marshalling these very tribes we just talked about who are pro-U.S. who are doing America's dirty work in hunting and killing al Qaeda with full license and authority of the coalition forces in Anbar Province. So, I think that we will find that it would not be surprising if this turns out to be al Qaeda striking back. BLITZER: The accusation being this deputy prime minister, himself a Sunni, being "a collaborator with the U.S."
Is that why they would go after a fellow Sunni? Absolutely, Wolf. And we've seen time and time again, from the Islamic State of Iraq, essentially the broad umbrella group or construct that al Qaeda has put together here in Iraq, condemn over and over and over this deputy prime minister because, in their eyes, he's sold out. He's sold out Islam and he's sold out Iraq by cooperating, working with -- not just the occupying force, but the crusader infidel occupying force. So to al Qaeda, this man is worse than anything. He is a traitor. 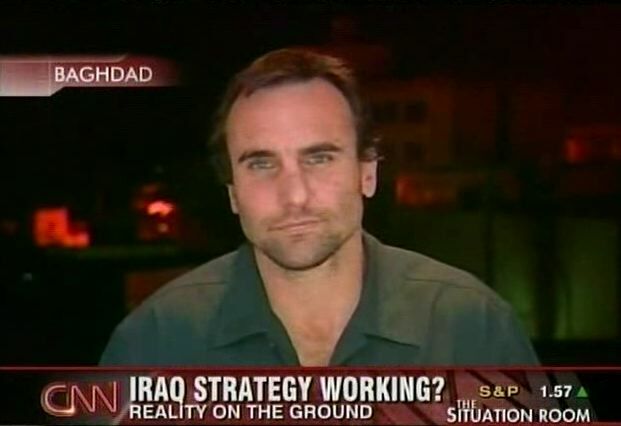 Michael Ware reporting from Baghdad. BLITZER: And this additional note. The Iraqi prime minister, Nuri Al-Maliki, visited his wounded deputy prime minister over at the hospital. There he was informed that Salam al-Zubaie was in stable condition and would not have to be transferred outside of Iraq for further treatment.